Lebanon is a country of trade whether for import, export or transit. To be more competitive, industries and companies need to have a good understanding of how to best utilize the logistics tools at their hands. This session is designed to give you these understanding. 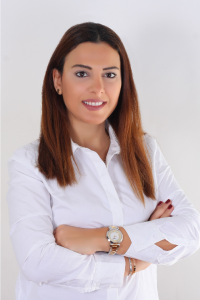 Jihane Abi Khalil is the Managing Director of Adelmar logistics - a company offering third party logistics and freight forwarding services, based in Mar Michael -Beirut. Holder of a Masters’ Degree in Shipping management from London , UK, she is also a Lecturer at the Holy spirit University of Kaslik and Sagesse University in Beirut. Jihane is lecturing several courses related to logistics and transportation such as shipping economics, transportation law, and supply chain management. She is also a regular speaker at the Maracad event, taking place on yearly basis in Dubai. Her latest speech was about Green logistics and the impact of maritime transportation on the environment. She has been a Member of the EU commission maritime project that took place in Genoa in January 2016. Moreover , she is very interested in information technology and has customized an in house maritime software called C-soft –under use at the moment by Adelmar team. Founded in 2001, the Euro-Lebanese Centre for Industrial Modernisation (ELCIM) has been established to support Lebanese industrial companies. ELCIM believes in a prosperous future based on a dynamic Lebanese economy fueled by modernised, growing, job-creating and export-oriented Small and Medium Enterprises (SMEs).